The kitchen is more than a room where meals are cooked and served; it’s a special space where memories are created and tough decisions are made. 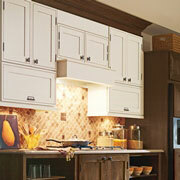 At ProSource® of Nashville, we support trade professionals in their home remodel projects for their clients. Whether you need a new marble countertop or a kitchen sink, we can help. Our professional staff and expert designers are ready to help you and your client make the best decision for the project and the budget. Visit us today! The kitchen cabinets are one of the most important features in the kitchen when it comes to the pairing of function and aesthetic. They provide storage and aesthetic personality to the space. The Nashville showroom offers a vast collection of cabinet choices for you and your client to find the best option possible. 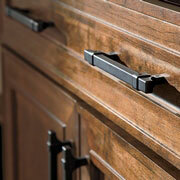 Cabinet hardware accents and adds a degree of functionality to the cabinets. Knobs, handles, pulls, brackets, and more can be found at ProSource of Nashville, where you and your client can browse a great collection of products. 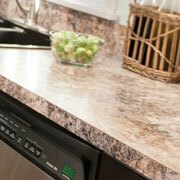 Kitchen countertops are more than a place to set your cup of coffee in the morning. They can be aesthetically pleasing as well as a vital functional feature in the kitchen. Choose from marble, quartz, and more at our Nashville showroom. 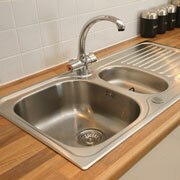 The kitchen sink is a vital feature to pull the space together and keep it clean. Whether your client is looking for a single bowl, double bowl, top-mount, or undermount basin, you will find it at ProSource of Nashville. Visit us today! Adding a faucet to your sink, whether for function or aesthetic, pulls the entire feature together. 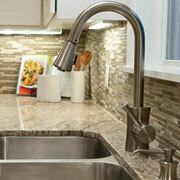 ProSource of Nashville offers a variety of faucets in various styles, designs, colors, and functions. Does your client want a dual faucet with spray function? We can help. Visit our showroom to browse our faucet collection today.